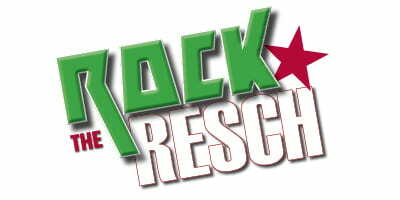 Rock the Resch is a super cool event especially for UWGB alumni and students. We’ve put together an awesome tailgate party at The Bar on Holmgren Way. 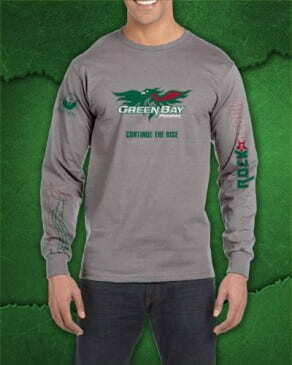 Your Rock the Resch registration includes great tailgate food, two beverage tickets good for Bud products or soda, an epically awesome, long sleeve Rock the Resch tee, and fun swag to cheer on the Phoenix at the game. The band “Feel Good Kids” will perform and the UW-Green Bay Pep Band, Green Bay cheerleaders and Phlash will make an appearance too. Finally, there will be lots of drawings for fantastic prizes. Time: Tailgate Party from 4 p.m. to 6 p.m., Green Bay men’s basketball game vs. Oakland, 6 p.m. This entry was posted in and tagged alumni basketball receptions, Rock the Resch, Student/Alumni Gatherings on February 24, 2017 by moodyk. 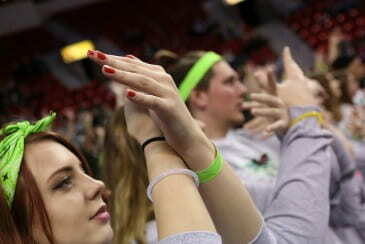 Rock the Resch is a super cool event especially for UWGB alumni and students. We’ve put together an awesome tailgate party at The Bar on Holmgren Way. Your tickets include lots of great food and two drink tickets, an epically awesome, long sleeve Rock the Resch tee, and fun swag to cheer on the Phoenix at the game. The band “Feel Good Kids” will perform and the UW-Green Bay Pep Band, Green Bay cheerleaders and Phlash will be there too. Finally, there will be lots of drawings for fantastic prizes. This entry was posted in Events, News and tagged alumni basketball receptions, Green Bay Basketball, Rock the Resch, Student/Alumni Gatherings on November 16, 2016 by moodyk.